A man goes down to the river and stares across the water. On the other side, there’s a road to the next town, where he can sell his crops and buy some seed. He thinks, Someone ought to build a bridge. He’s never built a bridge before. Neither have his friends. Looking around and shrugging, he figures he’s as up to the task as anyone and begins to chop down some trees. A few days later, he’s got the beams and planks he needs to begin his task and wades in with a rope to pull to the other side. Months go by. He’s teaching himself about the process as he goes, cursing when planks slip loose from the rope and rejoicing as he makes small, incremental gains. A year later, the bridge is done. With a smile on his face and the sun on his back, the man loads up his first few baskets of crops and crosses the bridge into town for the day. He sells everything. He’s toiled over his fields with as much attention as he’s given to the bridge, and the villagers pay more than he expected. Happily, he heads to the village bar and grabs a drink. Another man sits down next to him and they start talking. The other man looks exhausted and says he’s just finished a bridge. He says it’s taken him years, but it’s done. Another man comes in, looking just as exhausted as the first two. He’s just wrapped up a bridge of his own a mile upriver. He’s been making bridges since he was a boy, he says, and this one made for a hard month, but it’s done now. He just wishes someone who knew these waters had been around. The first two men each look at each other and, shaking their heads at their myopia, take a long drink. 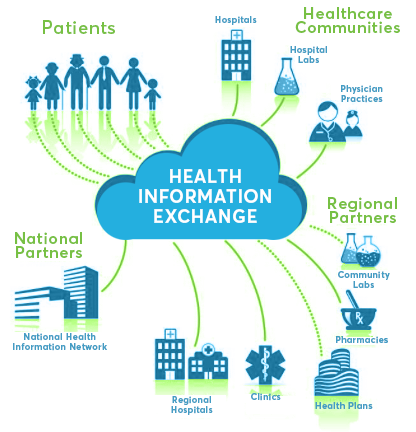 Health Information Exchanges (HIE’s) are systems, or architectures, that help communicate health information. The word refers to the programming that allows, say, a medical record to communicate with a facility registry, or a vaccine inventory, but it also refers to an organization that facilitates this exchange. 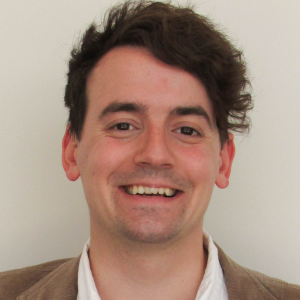 They trade on the principle of interoperability – or connecting systems, databases and organizations in such a way that they can communicate seamlessly with each other. By making systems interoperable, they improve the efficiency and quality of care through health systems, regions, or nations. OpenHIE, Open Health Information Exchange, formally started about five years ago. A group of exceptional health care organizations and scientists were four years deep into a highly successful project in Rwanda called the Rwanda Health Information Exchange (RHIE), that focused on improving care for new mothers and babies. Once the RHIE went live in 2012, other countries and services began to notice. 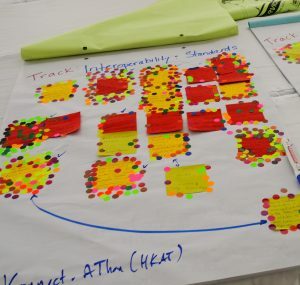 Conversations began to pop up around how some of the tools from RHIE could serve local needs. People with the technical experience began to flock to, and be informed by, experts who were already working hard to address their community’s unique situations. This expanding community and the processes, technologies, and experiences associated with it, became OpenHIE. 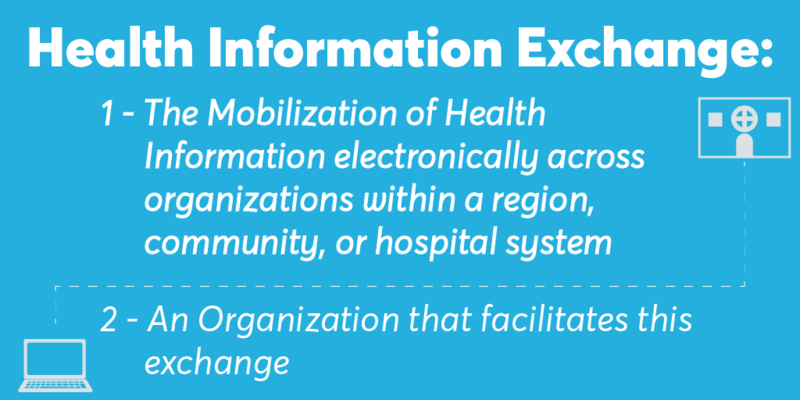 What are Health Information Exchanges? Soon, the community grew. People heard about what had happened in Rwanda, and just how well the original group’s efforts had worked. It grew more and more over the years, housed primarily on the OpenHIE Wiki, with people contributing primarily through email, conference calls, etc. Occasionally, people would run into each other at related conferences, but OpenHIE was primarily an online world. On the wiki and in calls, conversations took rabbit trails, ideas formed, and new tools and use cases were developed. Given how OpenHIE developed, it’s not surprising that members have a hard time saying whether it’s a community or a framework, or tools. In many ways, it’s all three. You might not know this, but you need six months of validity left on your passport to get to some of the most interesting places on the planet. 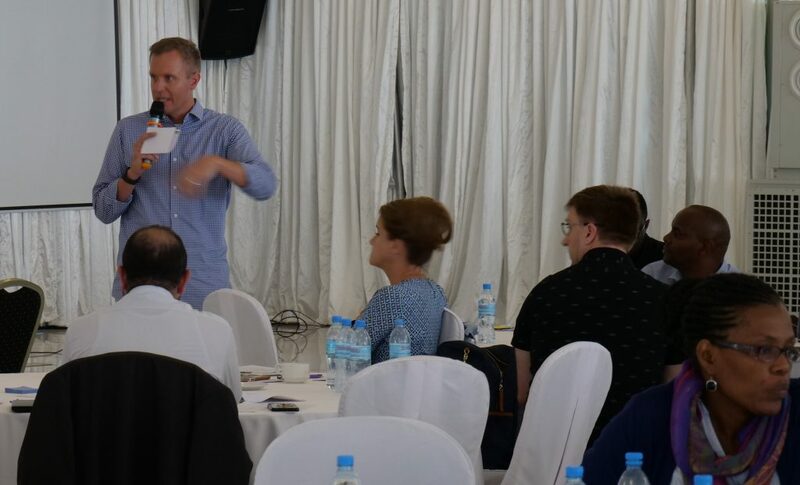 When word came that I’d be travelling to Arusha, Tanzania to support the inaugural OpenHIE community meeting, I had five months, three weeks. A few days later, I was in Chicago, petitioning the incredibly efficient passport office for a same-day renewal. Two days after that, I was on a plane with Jon and Jennifer, two members of Regenstrief Institute’s delegation. After a claustrophobic hour at Kilimanjaro in line to get our visas, we were on our way to Arusha in a small, comfy bus. Over the next few days, the “un-conference” unfolded with a loose, comfortable air. The agenda remained unwritten until midway through the first day, in order to allow the attendees to talk about what mattered most to them. The passion for each session was apparent. Governmental leaders presented on how they had used the tools of the community to improve their citizens’ lives. Implementers spoke to the successes and trials they had seen in rolling out tools and solutions from the community. Each day, after a brief recap of the sessions and reflection on the strengths and weaknesses of the programming, community members pulled out their laptops and stayed in the event space for hours. Groups formed around screens as people showcased their programs and described how to use them with other OpenHIE resources, and the discussions lasted indefinitely. Usually, by this point I would have found some chair in some spot of the property with slightly better wi-fi to try and wrap up a painfully long video upload back to Indy. When I’d finally throw in the towel and catch a taxi back to my hotel, I’d still see clusters of people fervently discussing some new tool or use case. About half the group left Arusha after the end of the third day. The other, techier half stayed around for what they dubbed a “HacKonnect-athon”, designed to develop ideas quickly in a way that can only be done with face-to-face interaction. I saw just a few minutes of the two-day suffixing event, but it was enough to make me very optimistic about where the community will go next. OpenHIE is a wonderful, inventive community. It’s rooted in solidarity, and more than a few members emphasized to me that it works because it places the voices of locals front and center. To put it differently, it has no illusions that anyone can understand a population’s unique needs better than the population themselves. It’s a group that celebrates successes and is honest about setbacks. This was the first time they sat down face to face to build their bridges. I’m sure it won’t be the last.